Your smile is something that should be a lifelong investment. Every day, you invest time into it with regular brushing, you invest time scheduled cleanings, and you invest money into it when a little extra attention is required. Dental implants are one of the financial investments that can be made to help complete your smile when your teeth are lost or chipped beyond the average filling. On the surface, obtaining dental implants may seem like a costly venture, but the reality is, there are many affordable and smart financing options that prevent the cost of dental implants from holding your smile back. The initial cost of dental implants seems high, but the long-term investment of your implants and beautiful smile are well worth the effort of working with the financing options available to you. 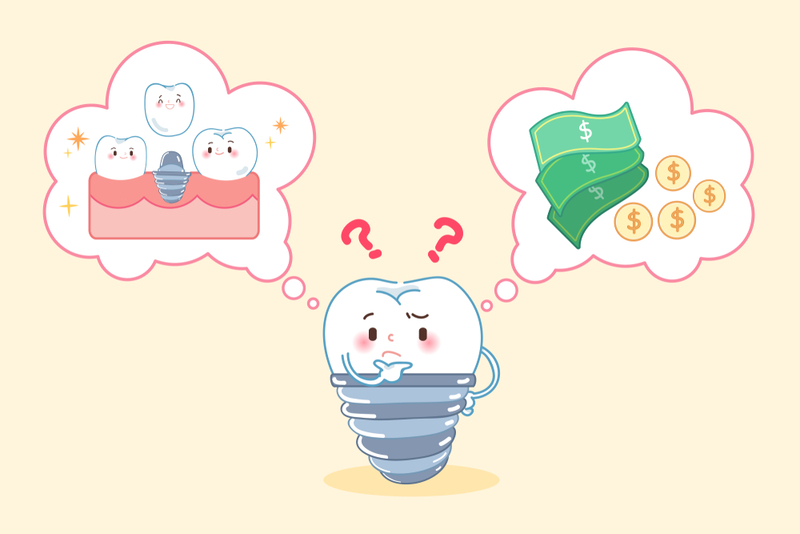 One way to finance your tooth implant procedure can be through a home equity loan. This type of loan comes with its own advantages. It typically has lower interest rates than other loans, and the rates are usually at a fixed level. Depending on your loan terms, you could also have a tax-deductible loan with this financing option. If you are older and find yourself in need of cash for your dental implant procedure, a reverse mortgage loan could be a viable solution for your problem. This type of loan allows seniors to withdraw some of the equity that they have invested into their home when they need the money. There are fees involved with these types of loans, however, they do not require monthly mortgage payments. More information can be found on these loans through your mortgage lender or local bank. Some people may be dubious about dipping into their hard-earned life insurance policies. While we understand these concerns, but you must keep in mind that these options accumulate cash value as time goes on. Taking a loan out against these policies is beneficial because there is no need to repay them, which can be very beneficial when facing a dental emergency. It is encouraged to repay the loan if possible because upon your death, the insurance company will reduce the face amount of the policy and the accumulated interest can impact the benefit. Investing in your smile with dental implants is an important decision to make. Don’t let the price tag of this procedure keep you from vastly improving your life. The experienced team at FastNewSmile has the ability to help you understand how your procedure can be taken care of. Contact us today to schedule your consultation with our office.